Bowling first, Richmond produced a good tight bowling display across all 9 bowlers, with Jake Percival, Gabriel Stewart and James Coyle all claiming a wicket apiece, and Will Newson two (in two balls). With a run-out too and some tight keeping and fielding, Bedale were restricted to 238 net. 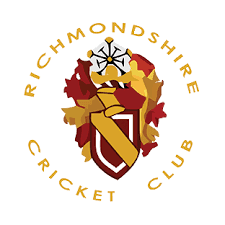 Unfortunately wickets fell regularly throughout Richmonds reply, with some soft shots and poor defensive technique against straight balls on display. More work needed here, as we've lost 14 and 10 wickets in our last two games - too many! James Coyle and Adam Pollard both made net positive contributions and Will Arnold continued his recent batting development with an excellent 18 not out. But the game was in the balance going to the last pair until an excellent 27 undefeated from skipper Jake Percival guided Richmond to a narrow victory by 6 runs. Thanks also to our James for dragging himself from his post GCSEs teenage pit to do the scoring for us! Oh, and England also scraped their way to victory in a minor football match.